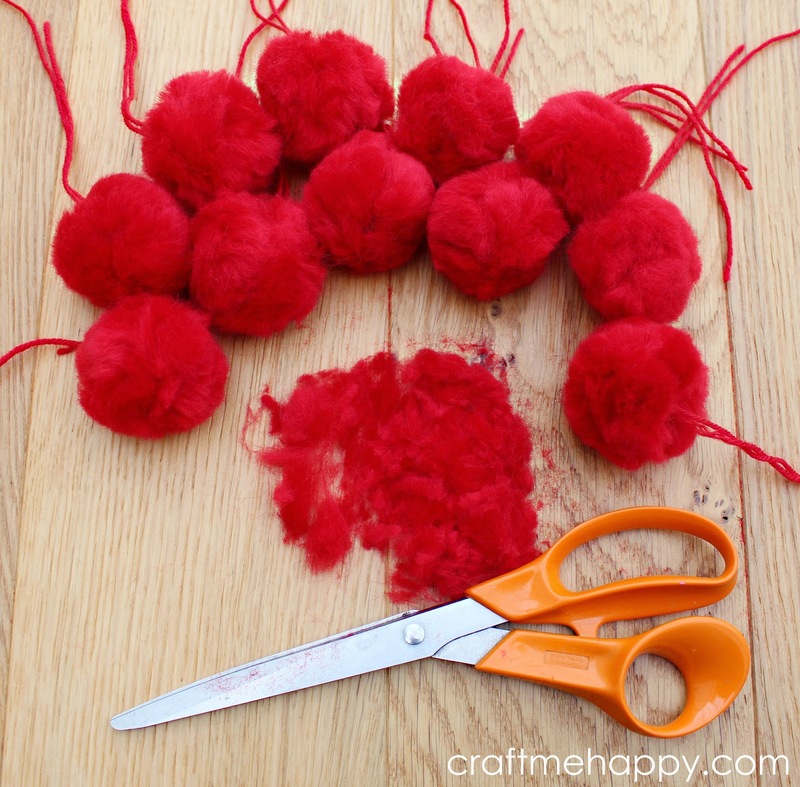 How to Make the Quickest, Fluffiest Pom Poms Ever. 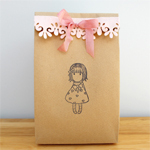 | Craft me Happy! 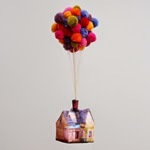 : How to Make the Quickest, Fluffiest Pom Poms Ever. 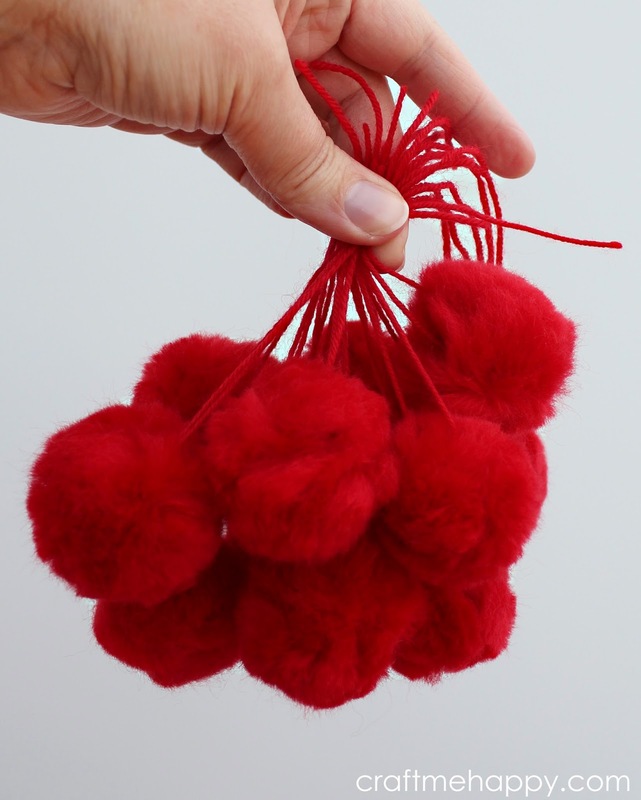 How to Make the Quickest, Fluffiest Pom Poms Ever. 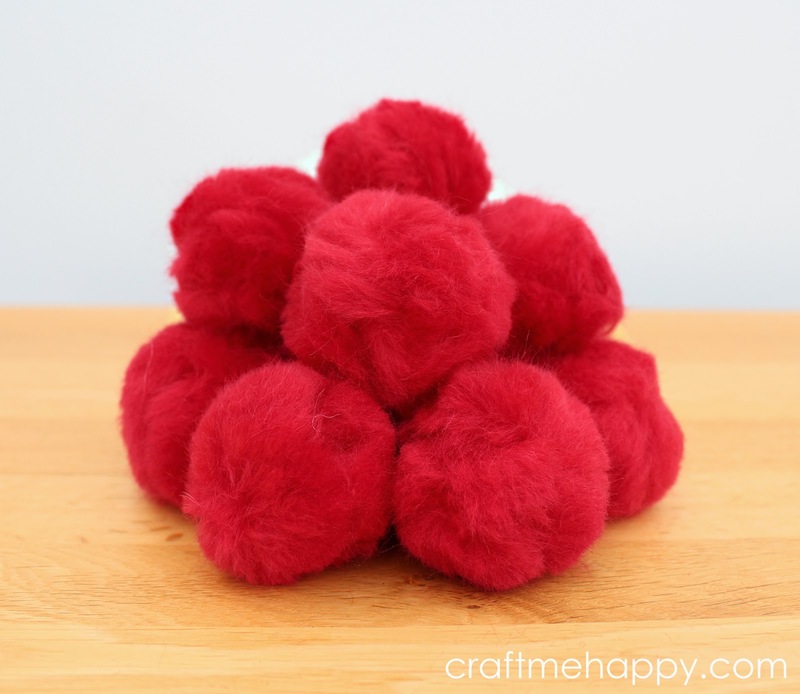 I'm going to share how to make the fastest, fluffiest, easiest poms you've ever seen. I really don't think it can get any quicker than this! 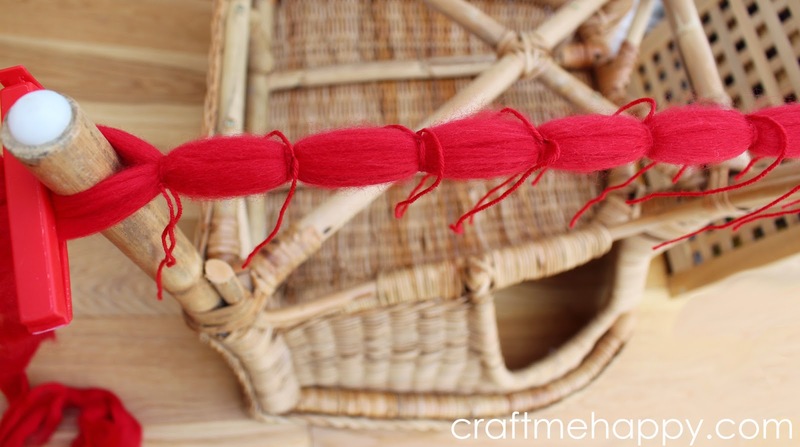 I wish I could take credit for the original idea, but I first saw this technique for making pom poms in bulk on Flax and Twine. 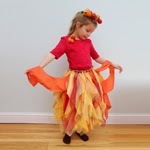 Basically she wrapped yarn around the legs of an upturned table and then knotted yarn around the long length at regular intervals to form many pom poms in one session. Although this did make the pom poms significantly faster to make, it would still have been very time consuming to wrap all of that yarn. 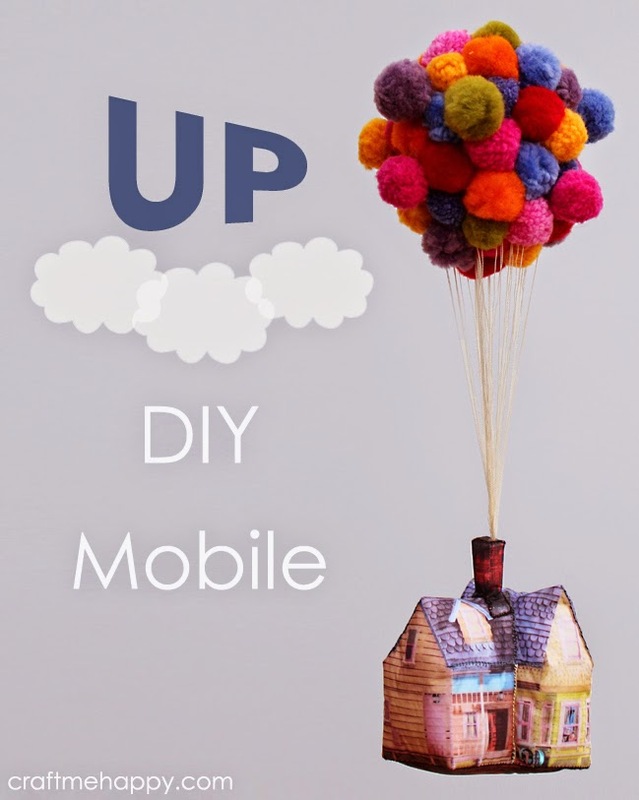 I thought it was such a genius, simple idea, but I realised that it could be made even quicker by using wool tops instead of yarn. 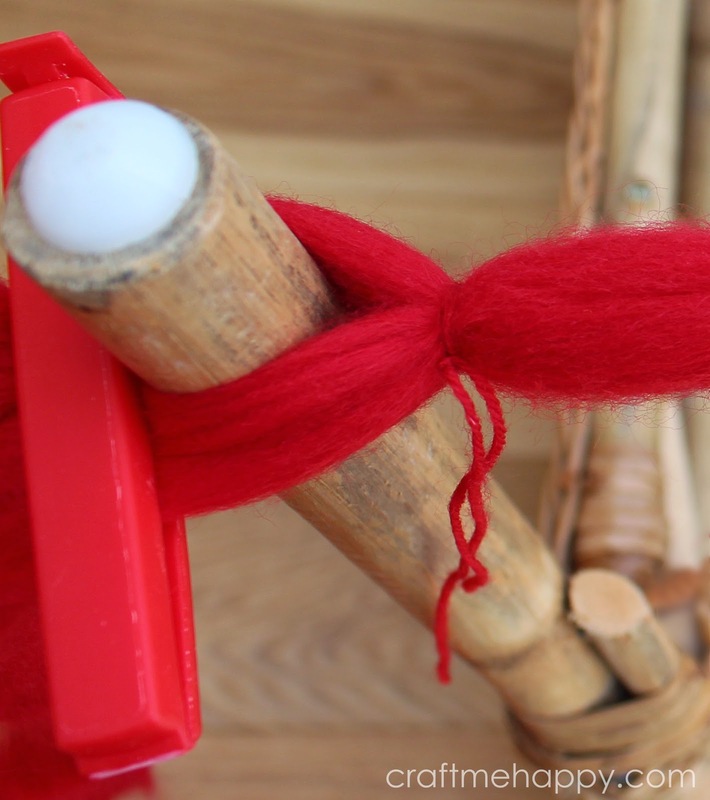 For non-spinners, wool top is often purchased by handspinners as it is a continuous length of wool staple fibres that have been combed after carding so that all of the fibres lie parallel. 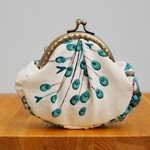 Other than wool top, you really don't need any specialist equipment and you should find everything else you need to make them around the house. 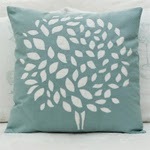 Wool tops - dyed or natural. I buy my wool tops from World of Wool. 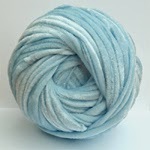 Yarn the same colour as your wool top. 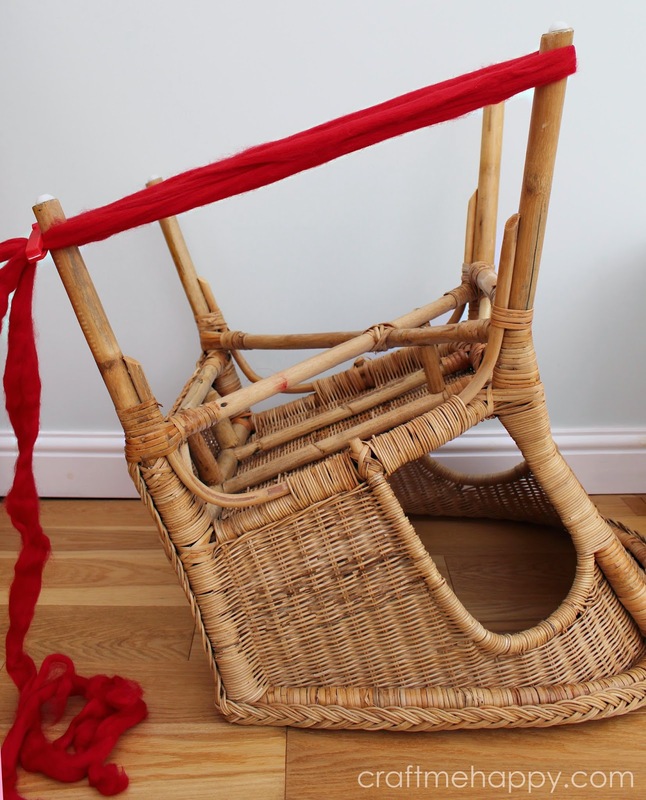 I used an upturned Ikea chair as the legs are straight and would allow the wool to be pulled off easily. Any chair or table with smooth, straight legs would work. 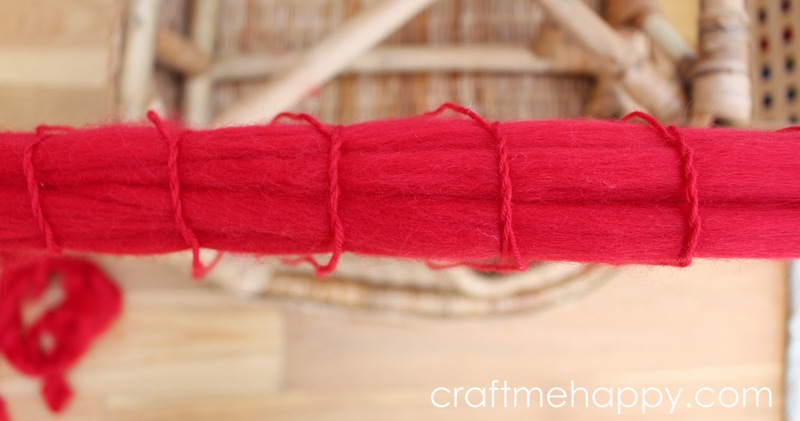 Wrap the wool top around once and clip it in place somehow. I just used a plastic food clip. It's really important to keep the length of wool as tight as possible as it reduces the amount of trimming you will need to do later. 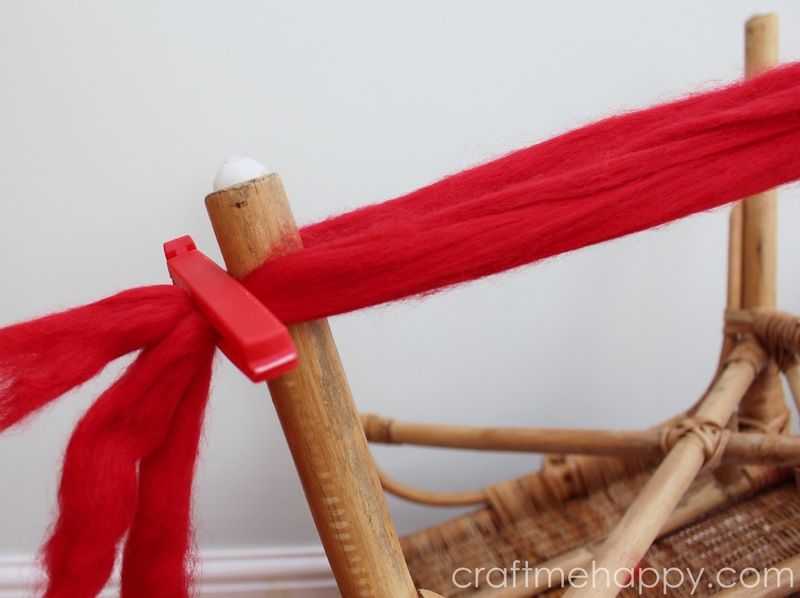 Cut lots of 30cm lengths of yarn, one for every pom pom you plan on making. 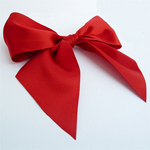 Tie the wool top tightly at both sides, close to the chair or table leg. 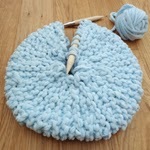 Now start loosely knotting your lengths of yarn at regular intervals along the length of your wool top. 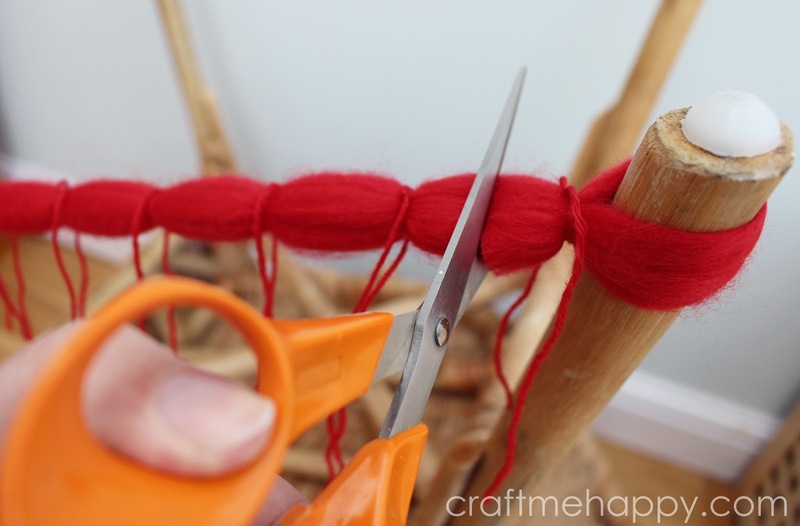 To tie your knots, cross the yarn over 3 times so that the knots will remain tight when you pull them. 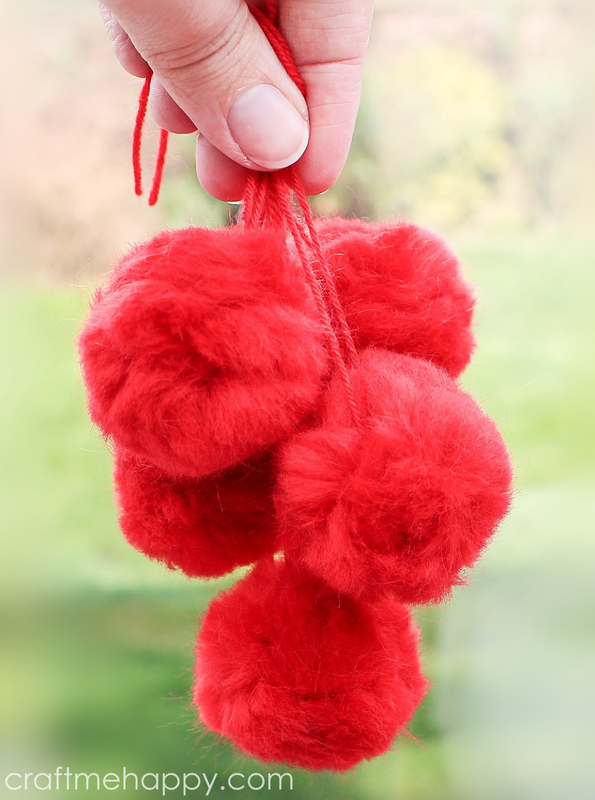 The distance between the knots will be the diameter of your pom poms so you might want to measure as you go. 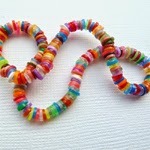 My knots were all 5cm apart. Once all of the knots are evenly spaced you can start securing the pom pom centres. Pull all of the knots tightly and then wrap the yarn around and knot the centres a couple more times, finishing with at least three knots. With a sharp pair of scissors, cut the wool top between each of the knots, trying to cut smoothly through the perfect centre. You should now have lots of little woolly haystacks with two uneven bundles on either end, one with a loop and one attached to the clip. Cut the end of the loop off and trim the one attached to the clip so that they look more like the rest of the even haystacks. 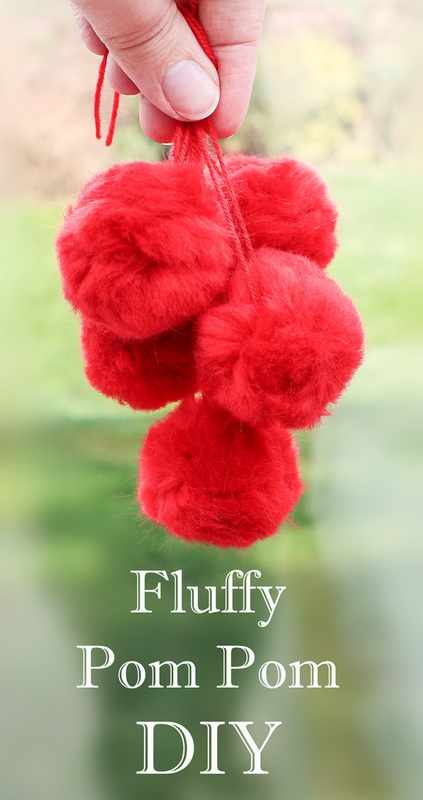 Fluff out the wool fibres with your fingers so that they become little fluffy balls. 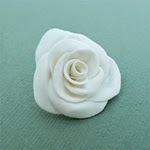 Roll them around in your hands to even out their shape a little. 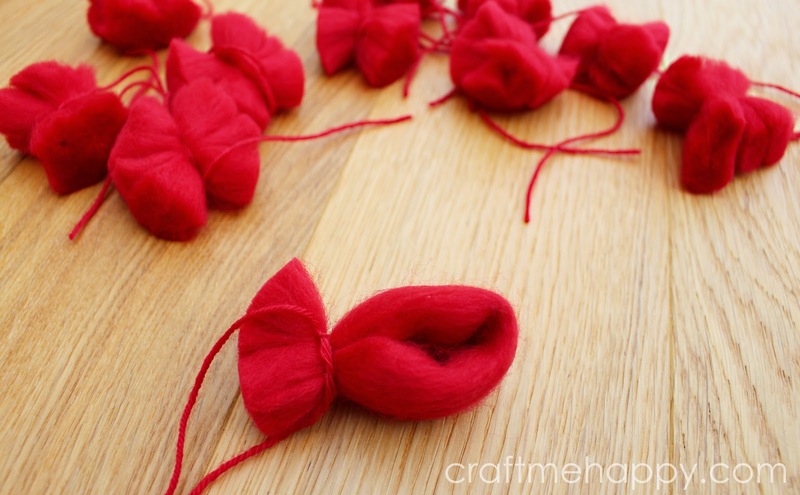 If you've kept the wool top tight, and knotted and cut evenly, then the pom poms shouldn't need an awful lot of trimming to make them round. This is all of the wool that I cut from my 11 pom poms. Here they are in all their woolly glory! 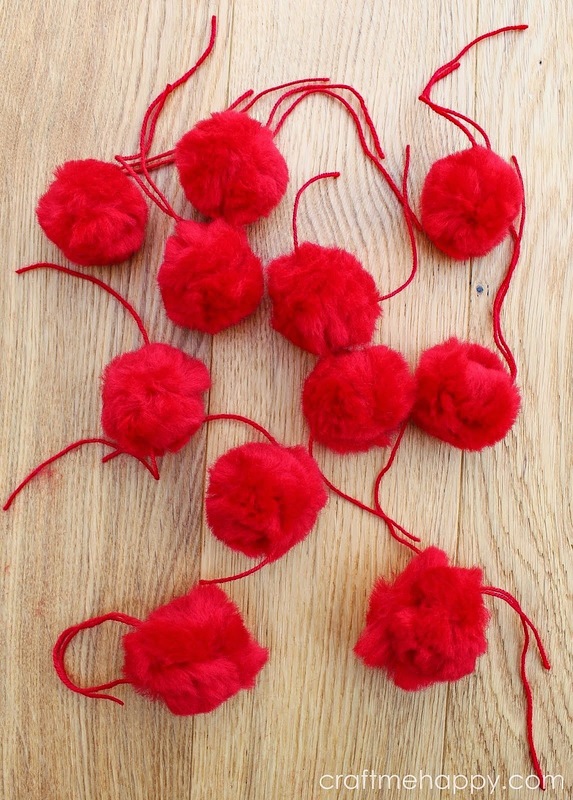 Can you believe I managed to make 11 pom poms in less than half an hour? It would have taken even less time if I hadn't kept stopping to taking photos of each step. 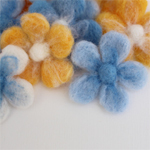 As they are made from staple fibres rather than yarn they will shed a little so you might want to give them a shake and run your finger nail over them to encourage any loose fibres to fall out. 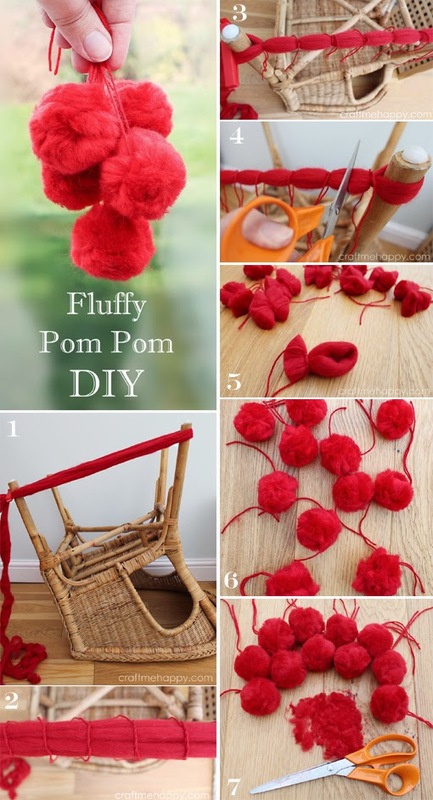 It does also mean that you wouldn't be able to make very large pom poms with this technique as you are limited by the staple length of the fibre, but this technique is perfect for making hundreds of little tiny pom poms relatively quickly. 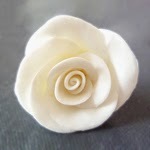 I'm not sure that they would be durable enough for a hat or a cushion, but they would be perfect for a decorative item like a wreath or garland that wouldn't get too much handling. 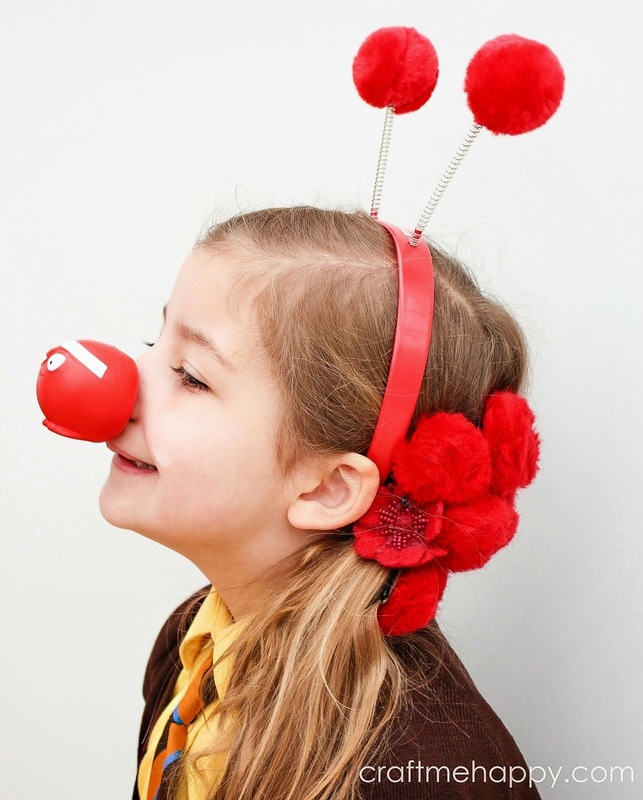 They made a perfect Red Nose Day accessory! I attached hair clips to them all and clipped them into my daughter's hair in a Paloma Faith kind of way. 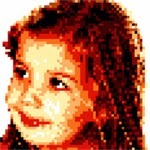 They looked fabulous decorating a French plait that travelled all the way around the back of her head. She got so many compliments on them and they looked great all day!